Triskele writers share their passion for time and place, plus some favourite books which have all three. Why Rimbaud and the journey of his missing manuscript? Why there and why then? Two French poets – mad, drunk, scruffy and wild – how could anyone resist them? I fell in love with Rimbaud the first time I saw a picture of him in a display about his time in Camden Town with his lover Paul Verlaine. When they fled to London they left behind both Verlaine’s young wife and Rimbaud’s long poem La Chasse Spirituelle. According to Verlaine it was the best thing Rimbe ever wrote. Sadly, as it’s been missing for over a hundred years, that can’t be verified. But what if someone found it? 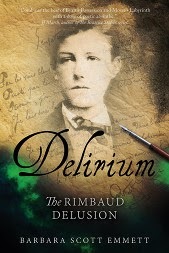 My speculations about this possibility suggested the main idea for Delirium: The Rimbaud Delusion. I first visited Rimbaud’s home town in 1993 and have visited several times since. Charleville-Mézières is an ordinary medium sized town in Northern France, pretty without being spectacular, neat and bourgeois and full of civic pride. Rimbaud hated it – and said so (often scatalogically) in his letters. The idea of setting the main part of my novel there was irresistible. I loved the idea of the bizarre goings-on and hallucinatory experiences of the narrator, Andrea, being set against this formal and slightly conservative backdrop. 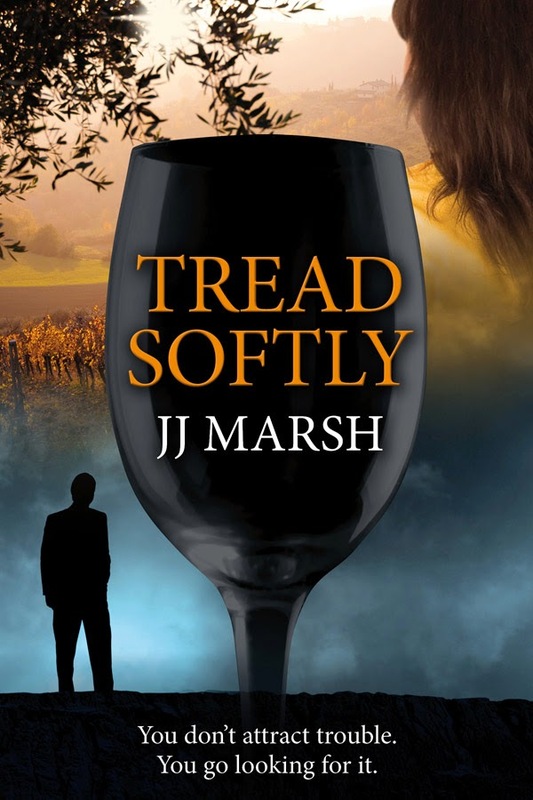 Most of the places Andrea visits do really exist – the quiet river Meuse, the cobbled main square, the public gardens near the station – and in every one of them something strange happens. I set the novel in 2004 because that was the last time I went there and the town was starting to become more modern, more generic. I wanted to pin Charleville-Mézières in place before it changed any further though, inevitably, imagination and distorted dreams will have transformed the town into my own version of it. Which book from your shelf do you feel demonstrates a strong sense of time/place? The 18th century Venice of Scherzo by Jim Williams is quite possibly not at all like the real thing but it is a wonderful version of it. Hallucinatory and filled with intrigue, La Serenissima hides in the mists and miasmas that hover over her canals and seep into her alleyways; her citizens creep through her streets cloaked and masked. Dark deeds are performed by hidden hands and mystery abounds. Scherzo is ostensibly the story of a murder and its investigation but it is so much more; it is the evocation of a particular time and a particular place brought to life in more fascinating detail than mere brute reality could provide. Is heritage and ancestry an important theme for you? Maybe because I had such a peripatetic childhood, I always have a sneaking suspicion that people with deep connections to their roots have something that I’m missing. It would certainly explain why I identify so strongly with my Welsh heritage, even though I am only half Welsh, have never lived in Wales and don’t really speak the language. My grandmother (my ‘nain’) lived with us when I was growing up, so I heard Welsh being spoken all the time and could follow the gist of a conversation. I grew up with Welsh stories and the poetry of Dylan Thomas – and above all, with the (sloe black, Bible black) Welsh humour ringing in my ears. So, yes, to actually answer the question, I do like to explore how characters connect with – or kick against, or try to rediscover – their various backgrounds. A sense of time and place is something that I really connect with when I am reading a book. 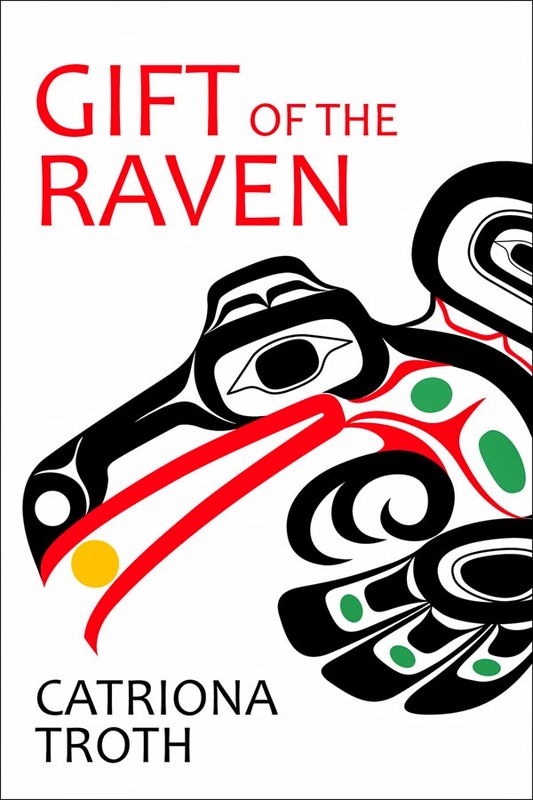 But I am going to pick one that maybe not so many people have heard of – and I choose it, not least because the author, like me, became a Canadian immigrant. It’s The Cowards by Josef Škvorecký. The Cowards is set in a little town on the border between Slovakia and Germany, in the dying weeks of the Second World War. It perfectly captures what it’s like to be a teenager - self-obsessed, image conscious, writhing with hormones and muddled ideals. When all that comes hard up against the brutal realities of war, it’s as if Holden Caulfield has walked into the pages of Catch 22. It’s a book that deserves to be much, much better known. Is there any particular reason you choose to set your novels around North Wales and the island of Anglesey? My dad has always loved North Wales. We think it's in the genes as his family are supposed to be from there originally. We ventured onto Anglesey when I was about ten. The first holiday I got mumps and it rained every day. Not the best start. But with good weather, nowhere in this country can beat the island. I adore the sea. It has echoes of Cornwall, the most stunning scenery, and an immense amount of history and legend which appeals to me as a writer. I find it so much easier to relax and write up there. Besides, it's a better option than writing about Birmingham! I'm going to go with Sarah Waters - The Little Stranger. She is maybe not an obvious choice and it's not a particularly strong locale. I do like books that make you ache to visit a location, equally I like writing that burrows into a time and place and examines it so minutely that it brings it to life in your head. And in The Little Stranger not only is there an intense atmosphere throughout but the period and the landscape and in particular that house are so vivid and real. It stays with me. Brilliant writing. Why did you choose to re-tell the story of Tristan & Iseult? What attracted you to their story? All legends appeal to me, particularly those of which we know so little. 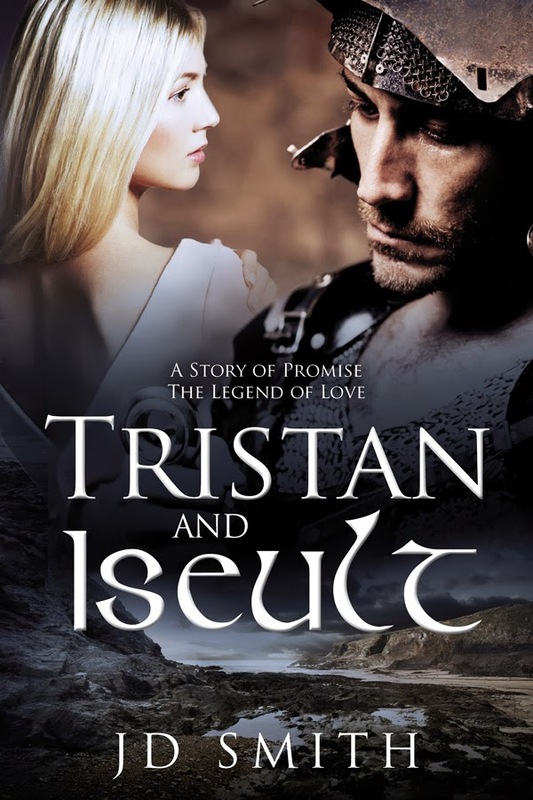 The story of Tristan and Iseult (or Isolde) first appeared for me in Bernard Cornwell’s Arthurian trilogy. He interwove their tale so believably into a unique take on the history of Briton that I looked them up and discovered the various different accounts of the tale. Then when the film Tristan and Isolde, produced by Ridley Scott, hit the big screen, my interest in the tale was revived. 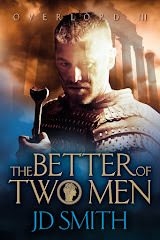 I began writing my version shortly after I began writing the second in my Warrior Queen series, (Overlord, The Rise of Zenobia) which is based on third century Palymrene Queen Zenobia. I was hankering after writing something closer to home, about the wet and windy wild that is Britain. Which comes first, story or location? And which particular features create a sense of place? Story, always. Or at least the bare bones of the plot. Then I audition various places before beginning to write. I have to know the setting, even before populating the novel with characters. The place IS a character. I start with the senses. We notice sights, sounds and smells first, and add to our impressions with tastes and textures, all the while comparing them to our expectations. Food and drink are essential, as they reveal something of the region but also much about the characters. Cultural differences have to be treated with great care in fiction. Lumpen great dumps of information are poison to pace. But subtle observations can be woven into the story, provided they are relevant. I’ve just abandoned a book set in Rome which was clumsily pasted chunks of guidebook against a sub-par Eat, Pray, Love plot. The reader wants to be immersed in the storyworld, not subjected to the author’s holiday snaps. Place: The White Woman on a Green Bicycle, by Monique Roffey. I know no other location which assumes its rightful place in a list of characters than Trinidad in this book. Time: The Grapes of Wrath, John Steinbeck. Superb depiction of circumstances and their effects of human nature. 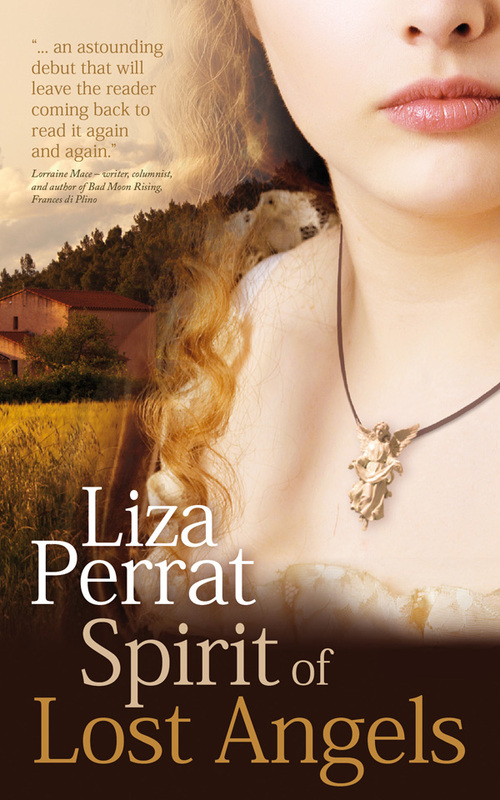 My novels are set in the French rural area in which I live, which makes it much easier to evoke atmosphere. I take loads of photos of the countryside, the people and the buildings, during each different season. The local historical association has lots of sketches and documents on what it looked like through the ages. As I walk the dog, I jot down descriptions of sunrises, sunsets, stormy light, fruit on the trees, snow on the hills, flowers in spring and the icy river in winter. Landscape, culture and food, certainly. But most of all, for me, it is the people who create a sense of location. Often, the people are the place. Also language, especially expressions, plays a part. Architecture too, gives a feel for a place. Which favourite book on your shelf demonstrates a real sense of time and place? Ooh, that’s a hard one; that goes for so many of my favourite books. But what comes first to mind is Kate Grenville’s Sarah Thornhill and The Secret River. I really felt I was back in early 19th century colonial Australia. For this month's Triskele Bookclub, I'd like to welcome Bernice L. Rocque, author of Until the Robin Walks on Snow, inspired by a true family story. 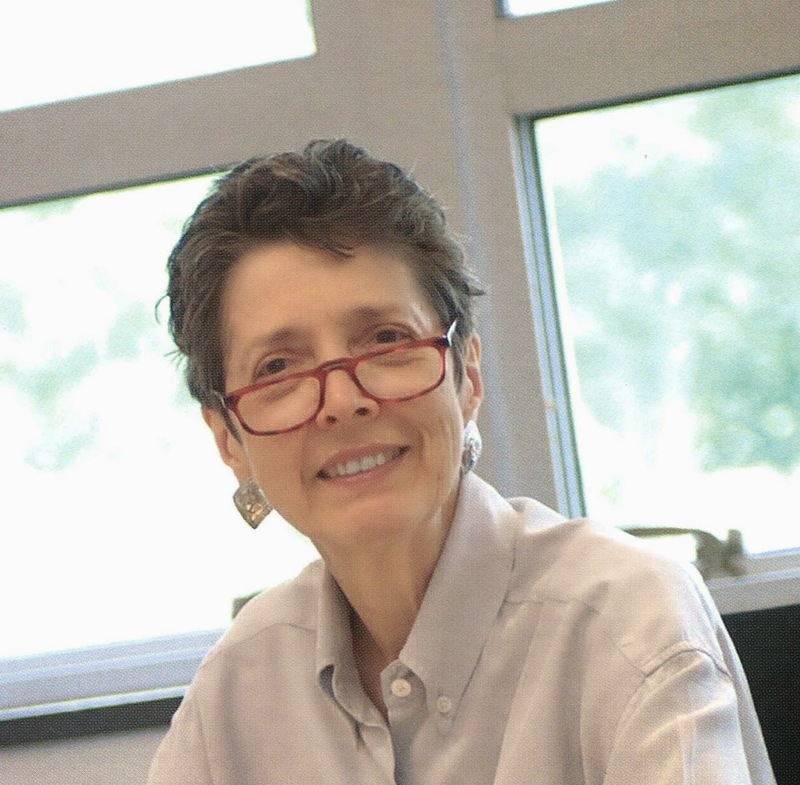 Bernice L. Rocque is a writer, educator, family historian, and avid gardener. 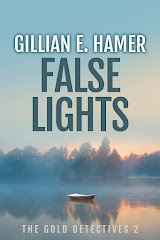 She grew up in Norwich, Connecticut in the surroundings described in her novella, Until the Robin Walks on Snow. She has authored numerous business articles associated with her work in libraries, training and development, and project management. Articles she has written about her family have appeared in the Norwich Bulletin, Good Old Days magazine, and Family Chronicle. Ms. Rocque lives in Connecticut, USA. Until the Robin Walks on Snow is a Mom's Choice Award (MCA) Gold Recipient for YA HISTORICAL FICTION. MCA recognizes the best in family-friendly media, products, and services. -- Mom's Choice Awards. Until the Robin Walks on Snow was named a Finalist in the National Indie Excellence Awards in the category, FACTION (fiction based on fact). -- 2013 National Indie Excellence Awards. Imagine that you are the parent of a newborn weighing one-and-a-half pounds. Now imagine that it is 1922. You have just moved - from a city with some conveniences to a farm with no electricity or running water. This work of fiction is based on actual events. The mother in the story was my Lithuanian grandmother. My uncle and aunt, who grew up in the 1920s, served as advisers for me. We like to say that this is the story that "might have happened." I wrote it so that most members of a family would be able to read it. It is suitable for ages 10 and up. From the moment I opened my copy of Until the Robin Walks on Snow I was hooked by the author’s eloquent prose, as she creatively marries fact and fiction. The story follows the birth of a premature baby, Antoni in the early twentieth century, “the smallest baby the doctor has ever seen––dead or alive”, and continues with the family's struggle to save this 1.5lb child during an extremely cold winter. As well as precise details of how the family battles to save the baby, we also learn much about the culture, religion and celebrations of the author’s Lithuanian, Polish, and Russian ancestors, allowing the reader to truly feel a part of this 1920s community. And for me, this family’s long battle to save their child symbolises that same long struggle many immigrants face when they arrive in a new country. 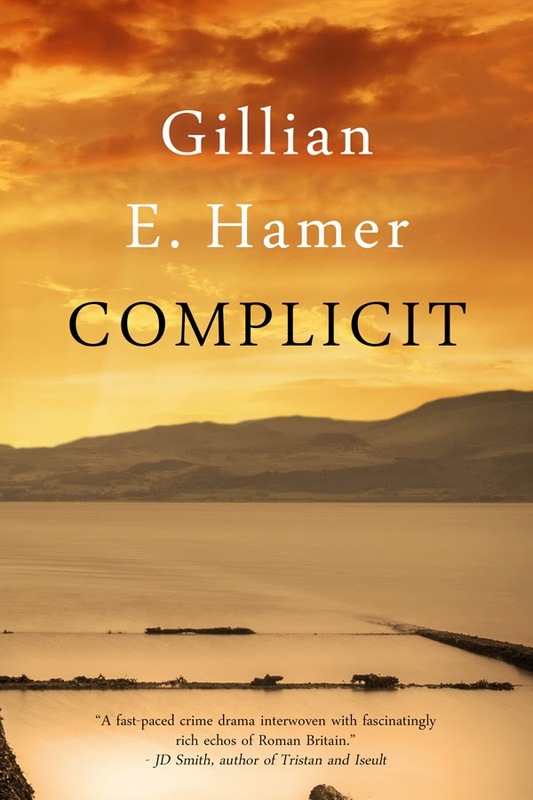 Great storytelling, coupled with impressive genealogical research, family stories and local history, I would highly recommend this captivating story about love, hope and faith, and the unwavering determination of a family to sustain one fragile life. Firstly, the most obvious question: what made you decide to write about this subject? Thank you for inviting me for this interview, Liza. This story idea surfaced during a conversation with my uncle. We were talking about the 1.5-pound preemie born to his parents in 1922—the tiny baby my grandparents were determined to save. My uncle knew I had been writing memoir-type vignettes. As we yakked, we became more and more intrigued. Could we reconstruct the story about the tiny baby? We definitely had questions. And, in my father’s family, questions and curiosity seem to drive us. It did seem there were too few facts to tell the story as nonfiction. Between us, my uncle and I had known most of the characters. 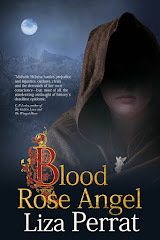 With a bit of trepidation, I suggested we might try historical fiction. Perhaps build the core from the facts, the characters, the family history, and research—and then fictionalize the rest to reflect the most logical story? At that moment, I wondered if he would have reservations about fictionalizing a story about his parents. But, he was comfortable with the approach. So, I asked if he would serve as my advisor. His 87-year-old face beamed with the enthusiasm of a youthful entrepreneur. “Let’s do it,” he said. You tell us that the mother in the story was your Lithuanian grandmother. Did you actually know her, and/or have any contact with her? Almost every day of my childhood, I would run over to visit my grandmother, Marianna. She so loved visits by her grandchildren! Her greeting started with a big smile and an effusive verbal endearment. Then, with arms outstretched she’d cup her hands around my shoulders and plant a double kiss (one on each cheek). Next, she would offer some food she was cooking or chewing gum. I’m recalling how much she loved Chicklets! I haven’t thought about the Chicklets in years. This is a good example of how recall occurs when you are basing a book on family history. It is fascinating how remembrances surface when you are talking, writing, revising, and interviewing. Sometimes, it is little details like these Chicklets, and other times it is major memory visuals that reveal insights about a person, character, or event that occurred. Back in 2010, during the review of the very first (12-page) draft of the story, a person in my writers group commented, “That generation knew how to do so many things, didn’t they?” We all nodded, feeling a bit short of these “life” skills, in agriculture, animal husbandry, and the trades. One of the best decisions my grandparents made was to buy the Norwichtown, CT farm in 1922. My aunt, born in 1925, told me that during the Great Depression her mother, Marianna, fed an endless stream of people. Relatives, friends, and friends of ... would visit for a few days, help out on the farm, and enjoy the hearty Lithuanian and Polish food my grandmother cooked. A hundred years ago, workers compensation, social security, and other safety nets did not exist. Yes, my grandmother, Marianna, was a force—of productivity, problem solving, generosity, and curiosity, just like her father, Nikodimas. Family stories of their experiments abound: crops, herbs, flowers, recipes, technology. In Until the Robin Walks on Snow, we learn that Marianna loved to crochet. She also thrived on figuring out the crochet patterns. In the next book, Marianna will grow flax, so that she can learn how to weave linen fabric. Today in Lithuania, linen goods are still prevalent. Liza, I am pleased that you asked this question about my grandmother. It has been rewarding to acquaint readers with Marianna. Even though the book fictionalized this intense story about the efforts of my family and their friends to save my extremely premature uncle, the characterization of Marianna as a person of courage, determination, and grit is not exaggerated. She was someone worth knowing, then and now. My grandmother spoke five languages and read at least three. In her youth, she attended a domestic school in Lithuania and was homeschooled by her father, Nikodimas, with banned books. She could kill a chicken without hesitation, but she also loved poetry! As described in Until the Robin Walks on Snow, Marianna was steadfast in her challenge and clear about her priorities. During her life, though, she did take time to just enjoy small moments. When I was a child, if I happened to be visiting with her during the start of a summer thunderstorm, we would sit out on the open front porch and watch the lightning streaks. It was thrilling! I always felt safe with her. Did the premature baby actually exist? Which parts of the story are factual? Oh yes, the baby existed... I knew that younger members of my family would ask which story parts were based on fact and which were fiction, so I appended Author’s Notes. That other readers have enjoyed the notes, too, has been a nice surprise! The facts include documented items such as the birth and baptism dates, the names of the godparents, the land records, etc. There are also physical artifacts such as the house, the land, the crocheted bureau scarves and other creations from my grandmother’s hands, the irons that kept the children’s feet warm at night, etc. Then, there is a layer of family remembrances, such as the stories of my grandfather saving our cousin, Anna, what the health department doctor said when he first saw baby Antoni, etc. An iterative approach in the writing and researching turned out to be quite helpful in this book, as did not having a super detailed outline. I didn’t anticipate that the research would bestow a few “gifts” on me, the writer. One example was the discovery that the events in Until the Robin Walks on Snow took place during one of the most severe winters of the last century in New England—lots of snow and very cold. Besides lending accuracy to what my characters might have experienced, this find fed the literary structure of the story, and helped me to realize what the story climax needed to be. That was fiction, but who knows, maybe not! The research “gifts” were a reminder of the value of serendipity! In your Author Notes, you provide some interesting anecdotal information. Do you have a particular interest in history and genealogy in general? History was my undergraduate minor, but the history of everyday life in other times is my favourite type of history. And, like many readers, I gravitate to stories in which ordinary people directly influence their own lives and the lives of others in ways that are extraordinary. I became hooked on genealogy in 5th grade, when my teacher gave us an assignment to talk with our parents and grandparents and fill out our family tree. I can still see the moment in my grandmother’s kitchen when I realized that I descended from an endless line of people, and largely people I did not know. I was astounded and curious at the same time! In high school, my world history teacher, Mr. Jacobs, opened a new lens for me by introducing context about the times and insight into the motivation of rulers. He was so dramatic, but more importantly, held our attention and incited our interest in knowing more. Then, in college—well how many readers, age 20, savor every page of Boswell’s London Journal or have a U.S. history professor who dresses like a bootlegger for his lecture about Prohibition and the 1920s. By the time I was in my early twenties, I had interviewed numerous relatives on both sides of my family, collecting data and stories. 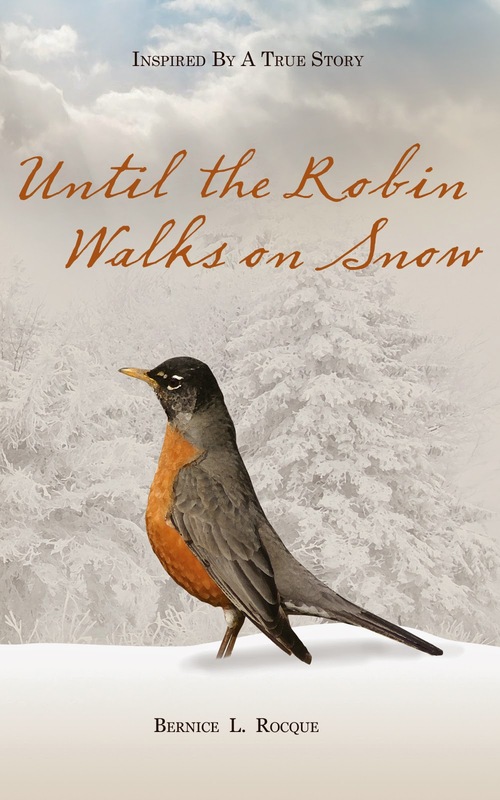 Can you tell us a bit about the publication of Until the Robin Walks on Snow? Did you take care of all the publishing aspects yourself? I subcontracted the editing and the book cover. My skill portfolio has benefited me directly in both the writing and book publishing/marketing. The undergrad major in English, a masters in library science with experience as a YA/Reference Librarian, 20 years of eclectic experience in a global business, and certification in project management have all helped me in assembling this first book. Teaching, writing, and public speaking along that career journey have been assets as I acclimated to the publishing industry. When I made the decision to publish Until the Robin Walks on Snow via my small business, it seemed a good idea to separate the publishing arm from my other small business activities. Establishing the DBA (Doing Business As), 3Houses, cost me $8.00 and an hour of my time to fill out a form in my town and then ensure that my bank would accept new transactions in my business account based on the DBA name. My business qualified me as a small publisher with LSI/Ingram. In 2012, there appeared to be some static in their supplier relationship to Amazon, so I decided to print my book as well via Createspace. By the way, the same digital file worked technically for both printers! In general, I like having two printers. Any plans for future books? And will you continue writing in the historical “Faction” genre? The research and plan for Book 2 (a continuation of the family story) are underway, and will be written in a similar approach. My current thinking is that the main plot line will feature Nikodimas, the grandfather, and his bootlegging business activities. Book 3 would deal with the years of the Great Depression. Like Until the Robin Walks on Snow, future books will continue to give readers a glimpse into what life was like for an immigrant family. Some of the reviewers of “Robin” stated that they wished the story had gone on longer. They wanted to know more. I hope they will welcome the next installment which will be released in 2015, if the muses cooperate! Thanks so much for answering my questions, Bernice. I wish you all the best with Until the Robin Walks on Snow, and I look forward to reading the next installments! Today, we are proud to welcome our newest associate, JW Hicks, to the blog. 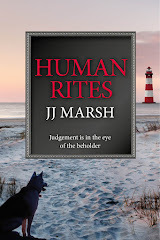 Jane's novel, Rats, will be published via Triskele Books later this year. We've long been admirers of her work and in particular, her use of language. Catriona Troth finds out how she does it. Jane, the first thing that would leap out at anyone who reads your speculative fiction is that you seed your dialogue with invented words that you nevertheless manage to make perfectly comprehensible. I try and make sure the words I use are defined by context, besides most have roots in normal language and can be easily figured out: glim – glimpse – see; snaff –snaffle – steal; dwell – dwelling – home. 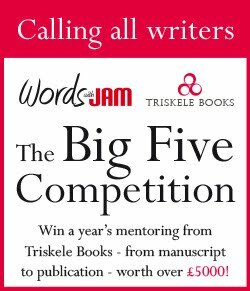 Are there other writers who have done this who inspired you to try it yourself? I’m inspired by energy, spark and difference. To my mind Anthony Burgess supplies all three. As they say in America – the perfect trifecta. Reading A Clockwork Orange sent my mind into orbit. Until that time I hadn’t known you were allowed to write that way. Have you read the Joe Pitt novels of Charlie Huston? In them you’ll find succinctly scripted prose uncluttered by speech marks. Huston eschews identifying tags; a character is defined by its own very distinctive voice. How I envy Huston’s perfect slim-line style. Often people who do this borrow or adapt little known dialect words. Where do you tend to take yours from? I steal from everywhere, from yiddish words like speil, dreck and shtum, from Romany words such as vardo and chdvi. As I live in South Wales I sneak in some Wenglish when I can. In my latest novel, set on the colony planet of Nataverra, several characters are of Native American descent so I added some words of Navajo. Are any of them true neologisms? If so, how do you come up with them? Where do I find my peculiar words? In my peculiar mind. As an only child I read constantly, any book, anywhere, any time. I must have amassed more words in my brain than feathers in a goose-down duvet. Small wonder those words mix and match to birth new ones; words that want to be noticed, words that beg to be given life. I have favourites, what mother doesn’t? Top of the list are blend words such as plas-met, slow-hide and fly-by. Then come words like ‘quaintance, (a giant alien wombat) and the casual future-speak of ‘sponsibilities, ‘cos and ‘lectrics. I also use a sprinkling of dated words, e.g. hoik, frit and natch. How do you go about making sure that your readers understand your language? Do you have to recast sentences a lot to make them work? Reading and re-reading is the way to spot repetitions, root out flaws and demonstrate where re-casting is necessary. I find that the deeper I get into a story, the smoother the language flow. Do you have a 'rule of thumb' that ensures that you don't overuse it? Or is it just an instinct? Reading the manuscript aloud unearths overuse. Can you give us some favourite examples from your own books? I like invented swearwords, because present day curse-words date very quickly. Personally I like frink, and frinking, which came from the name of a traitor in Rats – the Honourable Stuart Frink. 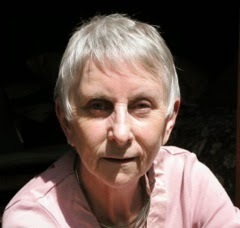 Here you can listen to JW Hicks reading her prize-winning short story ‘Altered’.